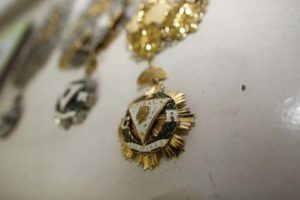 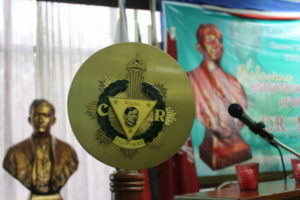 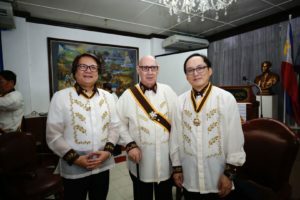 The century old order of the Knights of Rizal in Manila Philippines has inducted Professor Manson Fok and Dr. Billy Chan into its hallowed halls. 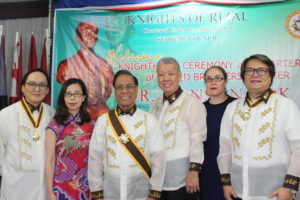 At a special ceremony at the International Headquarters of the Knights of Rizal this past weekend, Prof. Fok and Dr. Chan were brought into this fraternal organization to head a new “International Heroes” chapter. 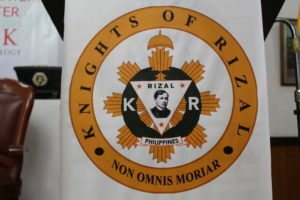 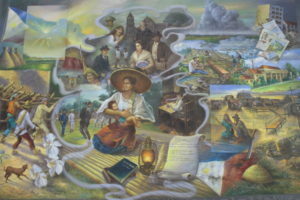 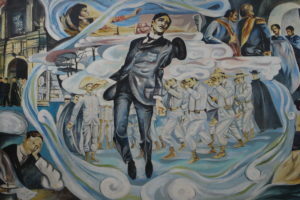 Dedicated to the Filipino national martyr and revolutionary José Protasio Rizal Mercado y Realonda who was executed in 1896, the Knights of Rizal was founded in 1911 to honor his legacy and conduct active community engagements to celebrate his life’s work. 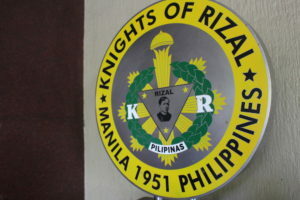 The International Headquarters is located in a historic building in downtown Manila erected in 1951–the first hall was destroyed during with the Second World War. 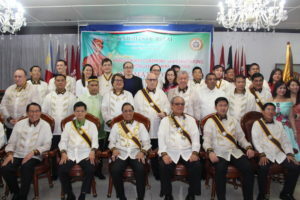 International friends knighted in this tradition include American statesman Henry Kissinger, King Juan Carlos I of Spain, and Buddhist Philosopher and Soka Gakkai founder Daisaku Ikeda. 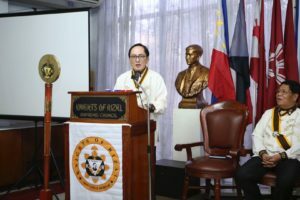 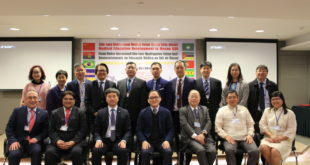 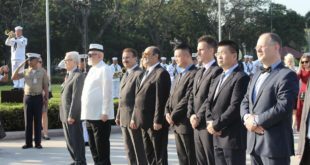 The new “International Heroes” chapter will continue to seek peace and harmony between China and the Philippines, drawing on Prof. Fok and Dr. Chan’s medical diplomacy the two have carried out since 2011 with their Sino-Luso International Medical Forum and Sino-Asia Pacific International Medical Forum. 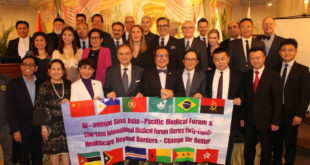 Dr. Chan, Director for the Center of Professional Medical Excellence at the Faculty of Health Sciences at MUST, said, “I am so touched by so many great fellows here together to help celebrate this important day. 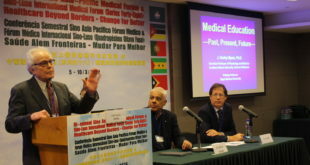 This gives me a joy to establish this important chapter for “International Heroes”. 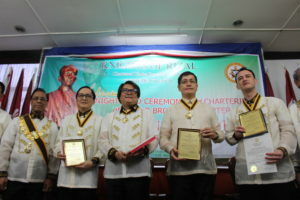 Among their first missions will be to donate medical equipment later this month to a hospital in Davao.